What is the MakerSpace and where is it? The Makerspace is located in the lower level of the Powers Memorial Library towards the north side of the building. The purpose of the area is to provide open access to information and various new technologies to enhance professional, personal and educational goals for all ages. It is a place to gain hands-on experience, knowledge and skills and to make stuff! We encourage socialization, creativity and tinkering in this area. Currently the MakerSpace is open every Wednesday afternoon from 4:00 – 7:00 p.m. These hours may vary during the summertime. Everyone is welcome to use and visit the MakerSpace at no charge to all community members with a valid CAFE library card. To use the MakerSpace, all patrons must read and sign the MakerSpace policy, stating that they will abide by the rules and regulations of this policy or risk not being permitted to enter the area. Each time a patron visits the MakerSpace thereafter, he or she must register at the Main Circulation Desk. Library patrons ages 11 and older may use the area without adult supervision. Library patrons ages 10 and younger must have a parent/guardian with them at all times. The tools and technology in the MakerSpace are on a first come, first served basis; however patrons may reserve use of specific equipment in advance after certification (See Section 3). Use is limited for two hours per day per patron, unless prior approval is arranged with the Library Director. Reservations can be made in person at the library or by calling the Main Circulation Desk (262)495-4605. 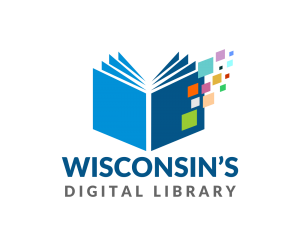 • All visitors to the MakerSpace must comply with the library’s rules and regulations, including the Code of Behavior, Wireless Access Policy and Public Internet Access Policy. • Use of the equipment with staff supervision is free during the open hours, except for those that wish to print their own 3D files (Please see the 3D-printing policy for further information). Users are welcome to bring in library staff-approved materials for use with the equipment. Any charges that are applied for an event in the MakerSpace are simply to cover Powers Memorial Library’s costs. • Prior to usage of any MakerSpace equipment with or without staff supervision, the patron must be certified by participating in an Equipment Use and Safety Certification Class (Section 3). All projects must be approved by library staff. • Each patron is responsible for reading and signing the MakerSpace policy, as well as any addendums or changes made to the existing policy. • The patron will follow all safety procedures and abide by the guidance of the library staff in charge. • MakerSpace items must be returned in the same condition in which they were found. • The library does not accept responsibility if a project is destroyed, does not print correctly, does not work, or if any of the patron’s personal equipment is damaged or destroyed while using any of the library’s equipment. • All equipment MUST stay within the walls of the library. Theft or robbery will not be permitted and will result in permanent ban from the MakerSpace area. Any suspicious activity will result in calling the police. • Any issues or accidents are to be immediately reported to a library staff member. • The library will not offer refunds for supplies used. • Food and drinks are permitted within the designated areas. • The Library Director reserves the right to refuse a patron’s request to visit the MakerSpace, as well as suspend or ban a patron from the area. The patron may appeal to the Powers Memorial Library Board within 7 business days of the decision by the Library Director. • In order to use specific equipment / technology or to participate in any project using this equipment, the patron must complete the Equipment Use and Safety Certification Class. • Any use of materials without certification can result in suspension or permanent ban from the MakerSpace. • 3D Printer: The current cost for use of the 3D printer is $.50 per 30 minutes run time or $.10 cents per gram.